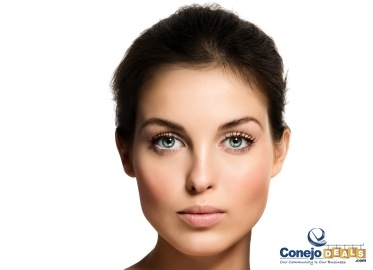 BOTH 30 Units of Botox AND One Syringe of Juvederm or Restylane for $595. (Value $1,040.) Turn Back Time Botox AND Filler COMBO at Westlake Laser and Med Spa. Open to new or previous Westlake Laser patients! New patients must have a complimentary consultation with Dr. Ozaki prior to appointment and fill out consent forms. Max one certificate per person. Juvederm and Restylane are fillers that can be used enhance lips or fill moderate to severe folds. Today we used the Conejo Deals magic wand to TURN BACK TIME. For the first time ever, we are running a deal where you can tackle the three biggest signs of aging—wrinkles, crevices, and sagging—AT THE SAME TIME. Plastic Surgeon supervised Westlake Laser and Med Spa, whose passion is rejuvenating their clients from head to toe, is offering a gorgeous deal: $595 for one syringe of Juvederm or Restylane, cosmetic “fillers,” that can be used to enhance lips and/or fill in moderate to severe wrinkles and folds AND 30 units of Botox to smooth forehead wrinkles and crow’s feet.